NHVH offers several different dentistry options ranging from preventative care to full dental cleaning under anesthesia. We recommend a wide variety of dental products so each client can choose what is best for their specific pet. We offer a few types of chews, toothpaste, toothbrushes, dental rinse, water additives as well as dental diets. We recommend starting preventative care as early as possible to help get your pet used to the routine. Also four out of five animals show signs of dental disease by the age of three. Dental disease can also negatively affect organ function, especially the heart, liver and kidneys. We recommend doing routine dentals as needed. 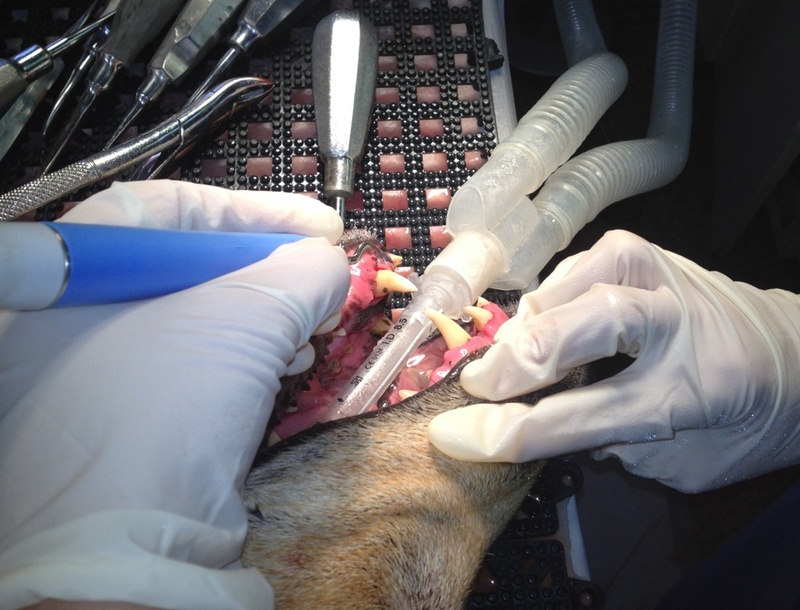 During the dental procedures, we sedated using general anesthesia. Our dental technician then removes all the tartar and any staining that can be removed. A paste is applied to polish each tooth and then sealed with a rinse to help prevent future tooth decay. In some cases extractions may be necessary to any damaged or loose teeth, or if the root of the tooth is exposed. We also offer dental health months in February and September which provides a discount on any dental procedures done during these months. NHVH offers inpatient hospital care to your pet when needed. 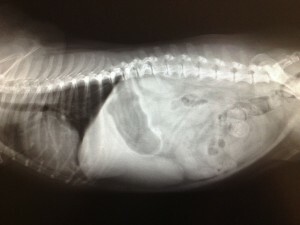 In this case our veterinarians and technicians can closely monitor your pet’s symptoms, and progress. While hospitalized, we administer intravenous fluids through a pump so the appropriate amount is given over the amount of time desired. We also can perform diagnostic testing such as blood work, radiographs, etc. It also helps with administering medications at specific times that may be crucial to recovery. We also offer emergency services. Our doctors and staff are well trained and prepared to handle any type of emergency situation. We at NHVH are pleased to offer our digital x-ray machine. Digital x-rays allow us to capture and view images quickly and efficiently. This cuts down the time our clients wait, as well as the stress on the pet. The pictures are so clear, and can be rotated, flipped and even zoomed in over specific areas. Having this system eliminates the time it takes to process and develop the x-ray film, as well as chemicals used to develop the film. This benefits not only our clients but our staff and environment as well. We also have email capability to send the films if needed or copied to a disk for the client to have on hand. NHVH has a lot to offer as far as laboratory diagnostics. We work very closely with an excellent laboratory that picks up our specimens twice a day. This will get us swift but accurate results. We also have capability of doing blood work here in the hospital. This is wonderful to take advantage of for emergency or sick appointments. We will have results within minutes that will help to provide the doctor with the best treatment plan. NHVH recommends doing preoperative blood work before a spay or neuter. This will give a baseline to compare future blood work to. We also recommend yearly blood work for any senior pet. This way even if your pet does not have symptoms, we can detect early and treat proactively. NHVH recommends doing a yearly heartworm test on all dogs. This test also checks for tick borne diseases as well, which are becoming more common in our area. NHVH offers surgery options several days during the week. Emergency surgery can be performed at any day or time. Routine surgery is scheduled Monday, Tuesday and Thursday currently. We may be able to accommodate another day if arrangements are made in advance. Whether the surgery is elective, emergency, or to diagnose a disease; it will be proficiently accomplished by one of our doctors. We offer an option to have a doctor scheduled to perform any orthopedic surgeries as needed. NHVH recommends every animal having surgery to have preoperative blood work, and it is required in all pets over eight years of age. Each pet will receive an IV catheter, giving access to an open vein during surgery. This service is required for the safety of the pet during anesthesia. Receiving medications through the IV catheter makes the procedure more pleasant to the pet as well. Our surgical technicians are trained to monitor all of the surgical equipment as well as blood pressure, ECG, heart rate, respiratory rate, CO2 content and, body temperature. We strive to make their experience as positive and least invasive to the pet as possible. Each pet is closely monitored and a pain management plan is set up as they are recovering from the anesthesia. You will also receive individual take home instructions specific to your pet’s needs for recovery. New Hope Veterinary Hospital strives to give your pet the finest care offered. The best place to begin is routine wellness exams. We recommend all pets be seen once a year for an annual physical exam. Each exam is tailored to your pets’ specific needs. The doctor will recommend if any testing is necessary. During this visit, if the client requests, the doctor can make a suggestion of the best food for your pet. We can also advise the best flea and tick preventative as well as heartworm preventative. The doctor will create a customized set of vaccinations for your pet to meet his or her lifestyle. Please see our Puppy/Kitten page for more advice on vaccine schedules and training. New Hope Veterinary Hospital offers medical boarding to existing clients of our hospital. Our kind and caring staff will care for your pet as our own in your absence. We offer both long- and short-term boarding for dogs and cats with any medical issues. Medications can be administered and treatments can be performed as needed. Please bring with you from home any bedding, food, litter and medications that we would need. We are pleased to offer MLS Laser Therapy at NHVH. This type of laser therapy relieves pain ranging from a minor hot spot to surgical incisions. It is also great to use for chronic issues such as arthritis. MLS lasers have a strong anti-inflammatory effect as well as fast healing. This quick and painless procedure takes an average of three minutes to perform. 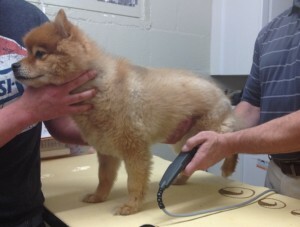 There are no negative side effects to the injury by using this laser therapy. Our trained staff programs the laser for the animals’ condition or type of injury, The laser uses specific wavelengths of light that travel through tissue, directly to the damaged cells. Stop in for a brochure or give us a call for more information about this exciting therapy. Losing a pet is losing a member of your family. This is a topic that our doctors and staff can closely relate to and try to make as peaceful as possible for the pet, as well as family members. Doctor Marcus feels very strongly about taking the best possible care of your pet during their time with you. He along with a classmate from veterinary school, Doctor Scott Martens; opened Evercare to continue this same care and respect after your pet is gone. Evercare has many different options which can be seen on their website, or their caring staff would be happy to help with any questions or requests you may have.